Not all features & options are available on all styles or regions of the country. 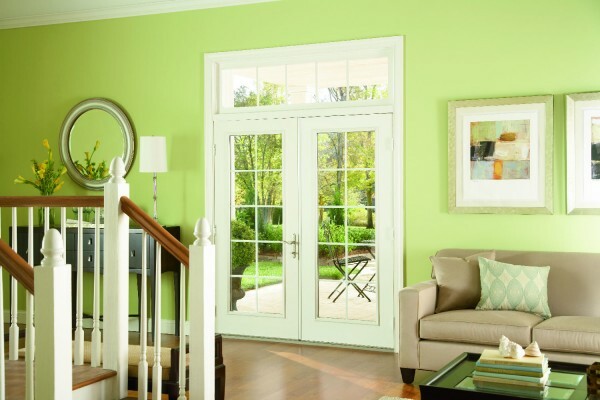 A swinging patio door–sometimes known as a hinged patio door or a garden door–brings ample charm to your space. 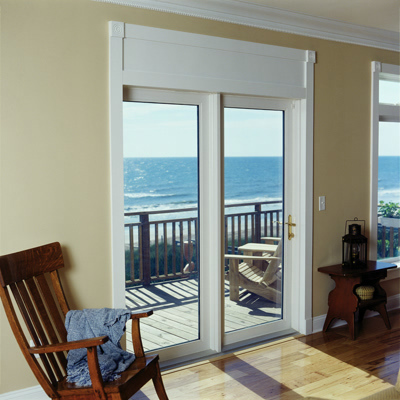 Swinging patio doors are available two styles: the French hinged door and the centered patio door. Allowing for natural light and easy access to the outside, swinging patio doors are an elegant addition to your home. All swinging patio doors are available in select standard sizes to suit your home. Find a pro or contact a distributor to purchase. 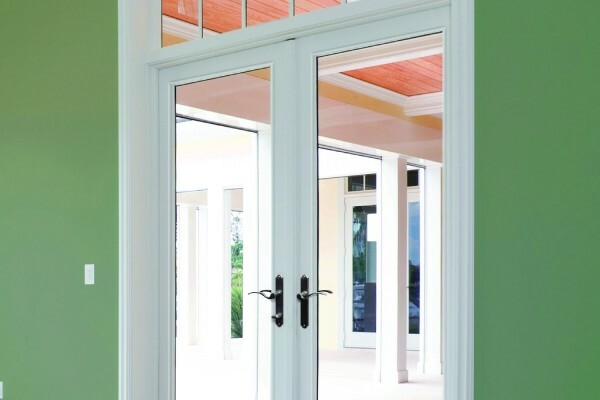 Swinging patio doors are available in two variations: French hinged and center hinged. 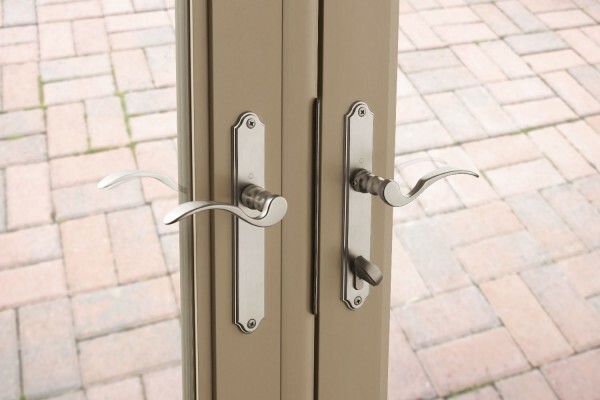 Both styles are hinged and can swing into or out of your home. Below, we will dive into the differences between both swinging patio doors so that you can make the best decision for your home. 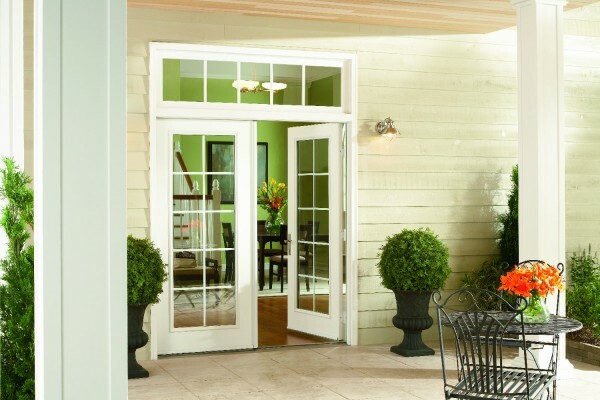 French Hinged Patio Doors allow you to choose which way you want the door to swing; whether inward or outward. What are the key benefits of French hinged patio doors? A French hinged patio door is easy to open, affords a wide and beautiful view and adds elegance to any home. With both door panels opening, you will have more clearance than with a sliding patio door for bringing large items in or out of your home. Learn more here. How much do French hinged patio doors cost? The cost of a custom French hinged patio door is contingent upon style options, hardware finishes, and grid options. For an estimate on a French hinged patio door for your home, contact a Simonton pro here. Center hinged patio doors exclusively open on one side. This patio door is perfect for those who prefer a swinging style door but do not have the clearance to allow both sides to swing open. 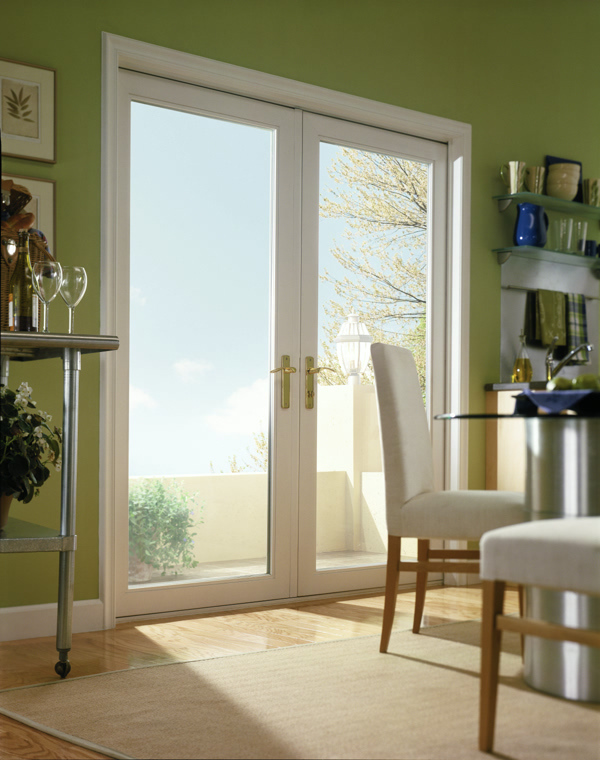 What are the key benefits of a center hinged patio door? 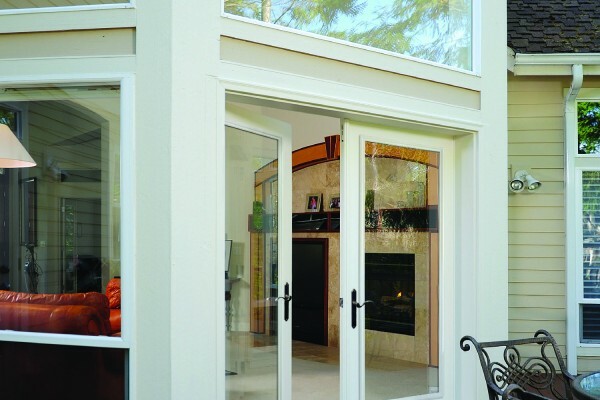 A center hinged patio door allows you to choose which panel is operable, and which way you’d like it to swing: in or out. View examples here. How much do center hinged patio doors cost? Pricing for a custom center hinged patio door varies based upon a number of factors including sizing and styling. 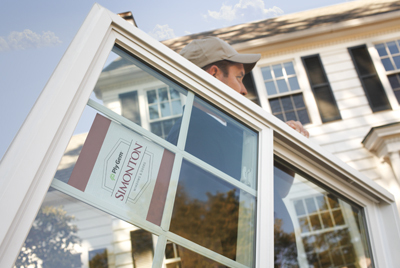 You can get an estimate for a center hinged patio door by contacting a Simonton pro here. A new sliding patio door designed with you in mind. From superior performance and easy glide operation to beautiful style options that offer the design features you want, the Inovo patio door will enhance both your home and life. We want your window shopping experience to be amazing. From selecting your windows, to choosing a pro to complete the job – it’s important you’re happy every step of the way. That’s why we offer installation training for our preferred contractors and dealers. So your windows are installed perfectly and quickly.